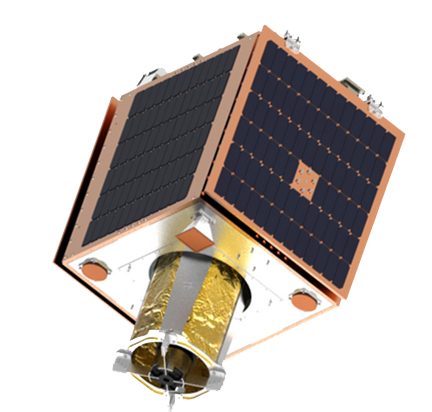 Last week, Earth-i announced that the company had ordered the first five satellites of their constellation from SSTL (Surrey Satellite Technology Ltd) in the UK. The company has now confirmed that their prototype satellite is now en route to launch provider Antrix in India, with the launch planned for late December on a PSLV rocket. This satellite will be used to test performance and confirm capabilities for the future constellation including tasking, data downlinks to ground stations, and image and full-color video capture from space. In addition, Earth-i has selected Norway’s KSAT (Kongsberg Satellite Services) to provide ground network services for their new Earth Observation (EO) constellation. Footage recorded by Earth-i’s fleet of satellites will be received direct to KSAT’s ground stations around the world within minutes of being recorded. From the KSAT ground stations, images and videos will be immediately accessible to Earth-i’s headquarters in the UK to start processing and running analysis on the data. The information gathered will improve decision-making and response times in a wide variety of scenarios from change detection to object identification, from disaster response to infrastructure monitoring. Earth-i has stated they are at the forefront of an era known as New Space, which is being driven by commercial organizations that want to improve investment and trading decisions, monitor and track their assets more cost effectively, track changes or activities in critical locations ± and predict future events with more certainty. KSAT President and CEO, Rolf Skatteboe, said that Earth-i is an innovative, exciting and ambitious New Space company whose constellation will move the EO industry forward immensely.